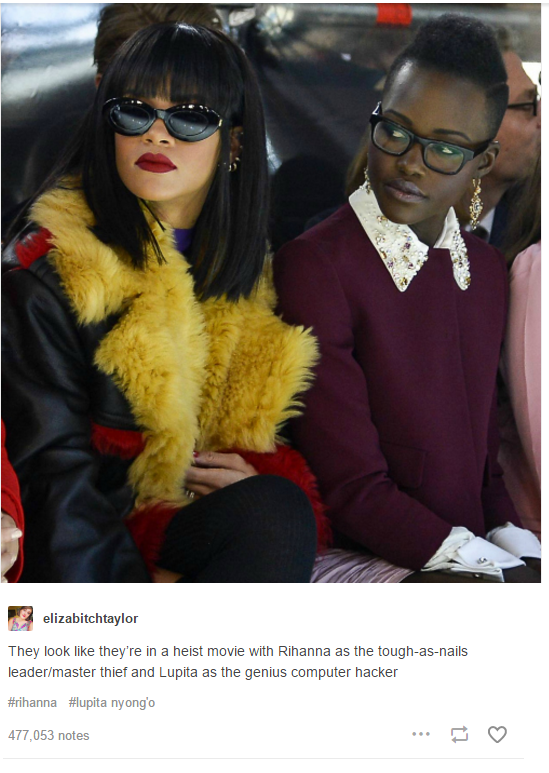 Rihanna and Lupita Nyong'o will finally star in a film together 3 years after fans called for the duo to co-star in a film. Entertainment Weekly revealed that, after a dramatic negotiation session at the Cannes Film Festival, Netflix has nabbed a film project pairing Grammy winner Rihanna with Oscar winner Lupita Nyong’o, in a concept that began as a Twitter sensation. Ava DuVernay (Selma) will direct, and Issa Rae (Insecure) is writing the screenplay. The project began as an online meme when the photo below, a shot that was taken in 2014 of the two women in the front row of a Miu Miu fashion show went viral, prompting calls to turn it into a movie.